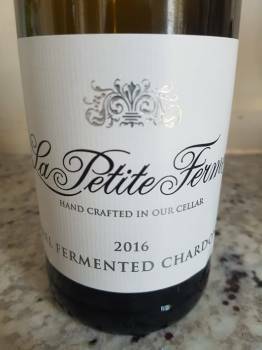 Franschhoek property La Petite Ferme came under new ownership in 2015 with Wikus Pretorius, previously of Haskell Vineyards, appointed as winemaker in October of that year. The Barrel Fermented Chardonnay 2016 is one of his first wines to be released. A blend of 50% own fruit and 50% from Elim, the wine was matured for seven months in a combination of first-, second- and third-fill barrels. On the nose, a little citrus blossom, pear and citrus. The palate is light and fresh, the oak nicely judged, the finish gently savoury. Perhaps a bit short of concentration but quite pretty. Price: R200 a bottle. Previous articleHas ageing wine become irrelevant?